Uber's head of human resources has resigned following an internal investigation into how she handled claims of racial discrimination within the company. Chief People Officer Liane Hornsey announced her departure in an email she sent to employees on Tuesday. An Uber spokesperson confirmed Hornsey's resignation, first reported by Reuters, and the investigation that prompted it, but would not elaborate on the claims against her. According to Reuters, an anoymous group of employees, all of them people of color, alleged that Hornsey used "discriminatory language" and made "derogatory comments" about high-level executives at Uber. 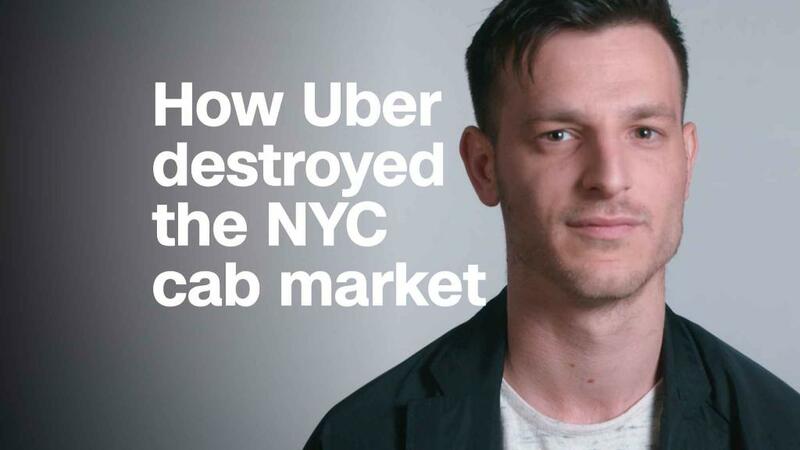 "We are confident that the investigation was conducted in an unbiased, thorough and credible manner, and that the conclusions of the investigation were addressed appropriately," an Uber spokesperson said in a statement to CNNMoney. Hornsey, who joined the company in January, 2017, did not address the probe in her email. "By now you'll have seen the news that I've decided to leave Uber. I know this comes a little out of the blue for some of you, but I have been thinking about this for a while," she wrote in the email, obtained by CNNMoney. Hornsey could not be reached for comment. Her departure comes as CEO Dara Khosrowshahi scrambles to change a corporate culture many have described as toxic. Uber has grappled with a string of scandals, including widespread allegations of gender and sexual harassment that led to co-founder Travis Kalanick's resignation as CEO in June 2017. Larry Johnson, an expert on corporate culture, said Hornsey's departure shows Uber is still in "hot water." "I'm glad to see Uber is trying to turn things around from the way it was last year," said Johnson, who is the author of a book about corporate culture and integrity called "Absolute Honesty." "If she's guilty as charged, then that's a step in the right direction." Khosrowshahi praised Hornsey in an email he sent to employees, but did not mention the investigation or allegations against her. "Liane is incredibly talented, creative, and hard-working. She's been a valuable member of my leadership team and I wish her nothing but the best," he wrote in the email, obtained by CNNMoney. Khosrowshahi hailed several of her accomplishments, including releasing Uber's first diversity report and hiring a chief diversity and inclusion officer. She also played a role in the company's effort to ensure all employees are paid equally based on their location, role, and tenure at Uber. Such efforts are part of Khosrowshahi's ongoing campaign to burnish the company's image, and the allegations against Hornsey show how big a challenge he faces. "These are huge issues they've been struggling with," said Cindy Schipani, a professor of business administration and law at the University of Michigan. "The culture still has a lot of room for improvement." CNNMoney's Sara Ashley O'Brien contributed to this report.